*DISCLAIMER: Please do not request medication via Zocdoc. We will work with you on your medication needs after you establish your primary care with us. We are unable to refill any medications or respond to comments prior to your visit. 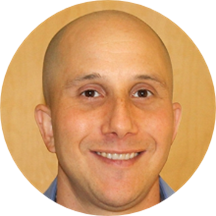 A board-certified internist, Dr. Jeremy Keller serves the locals of Cambridge, MA. He practices at CHA Windsor Street Care Center and strives to deliver quality care and ensure patient satisfaction. Dr. Keller attended medical school at the University of Massachusetts and pursued his residency in internal medicine at Cambridge Health Alliance. An experienced provider, he also holds certification from the American Board of Internal Medicine. Dr. Keller provides compassionate care and guidance for the treatment of a wide range of concerns and believes that two-way communication is the key to good health. He is a good listener and encourages his patients to drop all inhibitions and discuss their issues freely. He ensures every individual leaves the clinic feeling satisfied and motivated to get their lives back in order. At CHA we believe that excellent health comes from a team of people working together, we call these care teams because it is their job to listen, respect and care for every patient at our clinic and in our community. A CHA doctor will lead a team - which may include physician assistants, nurse practitioners, registered nurses, medical assistants or other caregivers - who will get to know you well. Together, they will take responsibility for your health by offering consistent, coordinated care and communication. All returning patients should schedule within their existing care teams to ensure CHA is able to provide continuity of care.